A neuropsychological assessment provides information about brain/behavior relationships. A neuropsychological assessment can provide important information about an individual’s academic or professional achievement. This kind of assessment can be especially useful if an individual’s achievement (grades, work performance) is below his or her intellectual functioning or general educational level. A complete neuropsychological assessment will usually also incorporate information from other sources (school reports, teacher evaluations, performance reviews, past testing reports, medical records). 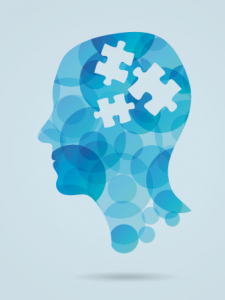 A neuropsychological evaluation may also be used to assess whether there is cognitive impairment as a result of dementia (including Alzheimer’s or other types of dementia). It can help to determine whether a patient is competent to continue to manage legal and financial affairs and whether the person is able to live independently. We will discuss the results together and determine a course of action. This will include a review of cognitive strengths and weaknesses. We will formulate a plan to facilitate improvement in the academic or work setting. For a child, this may include an IEP (individualized education program) at school. Treatment is always individualized and is based on the results of the neuropsychological or educational assessment. Treatment may include cognitive remediation, which is basically using one’s strengths to compensate for weaknesses. Cognitive remediation often involves paper and pencil exercises, which are used to help a patient practice specific cognitive skills. Cognitive remediation can help a person achieve particular goals in an academic or vocational setting. For example, an adult or a child who is having problems with attention, may not be performing optimally at school or work. Cognitive remediation can help a person learn specific strategies to better attend to, track and organize information. The first step to improvement is having an awareness of strengths and deficits. Then, a treatment plan can be developed so that a person can work on skills to improve performance.